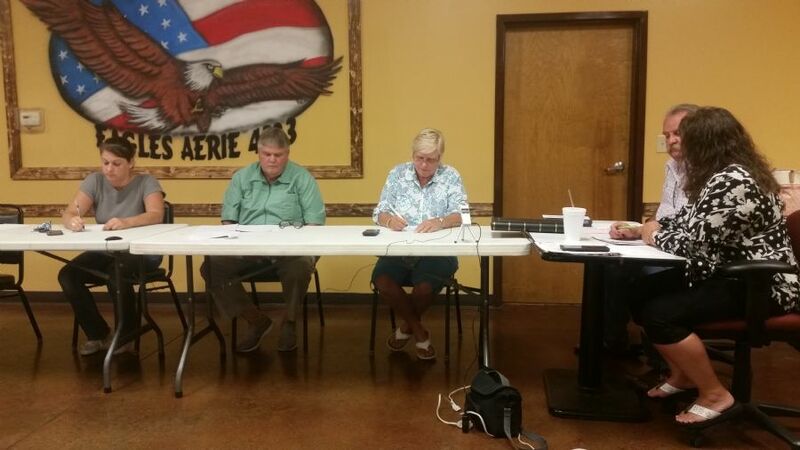 The Lapel Town Council held a regular meeting at the Lapel Eagles last night from 7pm. Members present Deb Wainscott (President), Tony Pearson (Vice President), Lindsay Washmuth. The Town Council presented Bill Byer with a thank you gift for his service to the Town of Lapel. Byer has resigned as Town Attorney. The Town Council introduced Ashley Hopper from Graham, Regnier, Farrer and Wilson the Town's new legal firm. The Town Council approved purchasing 50 new water meters to have in stock to either replace broken ones or to use for the final stages of the water meter replacement program. The Town Council denied a request to install a traffic bump on an alley near John St.
Police Chief Kelly Naselroad informed the Council he is looking into the current golf cart ordinance and updating it. Right now, the only part of the current ordinance being actively enforced is ensuring all golf carts are registered. Naselroad also received approval from the Town Council to use a Glock weapon upgrade program to trade in the Police departments now five-year old-guns at a cost of $129 per weapon, get additional magazines and both duty and practice ammo. The total cost is $1,315.99 and will be taken out of existing funds in the Ammo budget. The deal will save the Town about $1,000. Naselroad also received approval to bring on three part time officers to provide relief to the existing Police Department while Officer Porter recovers from a foot injury and Officer Whistler is at the Academy. The part time officers will end up saving the Town hundreds of dollars per week that is currently being paid as overtime to the existing officers who are each having to work 16 hours of overtime. The Council waived the requirement for background checks as the three officers are already working for Police departments in Edgewood, Elwood and Pendleton. The Town Council agreed to have the outside of Town Hall painted at a cost of $4,800 primarily to stop the deterioration of the stucco on the south side of the building. The Town Council read a letter from resident Stan Kilburn concerning the use of 12th St and School St for trucking and discussed possibly closing 12th St at the City limit. Any action was put on hold until further research could be conducted.